IDEAL CONDO LIVING - Only one short flight of stairs down to lovely garden level unit w/walkout to park-like courtyard. 9 Ft ceilings & open floor plan; spacious deluxe kitchen w/eating bar open to dining/living rm combo. Plenty of kitchen cabinets & counter space. Laundry rm off kitchen includes shelving & storage. Complete appliance pkg. Door from LR to screened-in porch w/utility rm & walkout. Both BRs face courtyard. 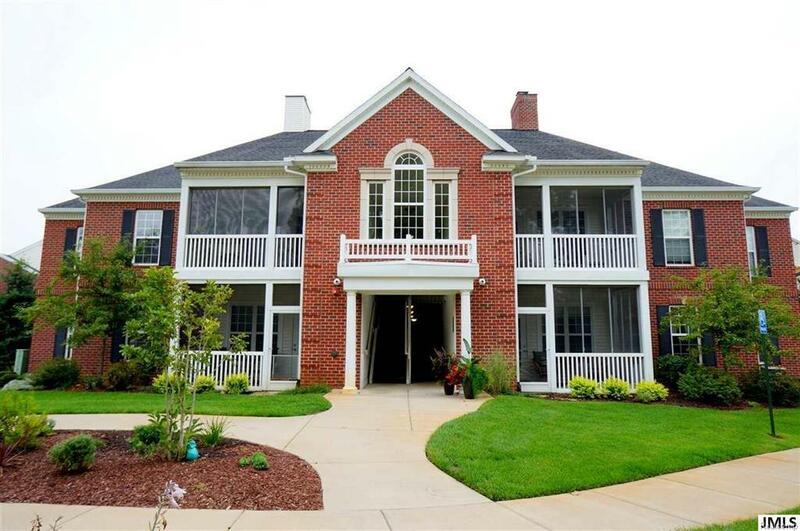 Spacious master BR w/ample space for sitting area, study, exercise equipment, etc., 2 double closets & full bath w/tile floor, linen closet & walk-in shower! 2nd Bath w/tub/shower combo, tile floor & 2nd linen closet. Move-in ready - tastefully decorated, neutral colors throughout w/trendy accent wall in living rm. 1-1/2 Car garage w/keyless entry. Convenient Summit Twp location off McCain Rd, near shopping, restaurants, schools, only minutes from I-94/M-60 & enjoy the off road, walking trail between developments. Enjoy carefree living w/reasonable association fees.